After a busy weekend of football in the I-league, the ninth round returned just after two days with some new rivalries and exciting games lined-up. High-flying northern club Aizawl FC took on Bengaluru FC at home and Mohun Bagan travelled to Mumbai FC. Strikingly, all games in this round ended in draws as all teams looked happy to sit back, defend and soak pressure. Probably, the games came too fast for the players and thus, eking out a point was the best possible way ahead. The first game of the round was played between Chennai City FC and Churchill Brothers. The game saw a goal each from both sides, with Brandon Fernandes and Charles De Souza getting on the score-sheet in early second half. Brandon makes our list for his sublime display and a ripping free-kick. 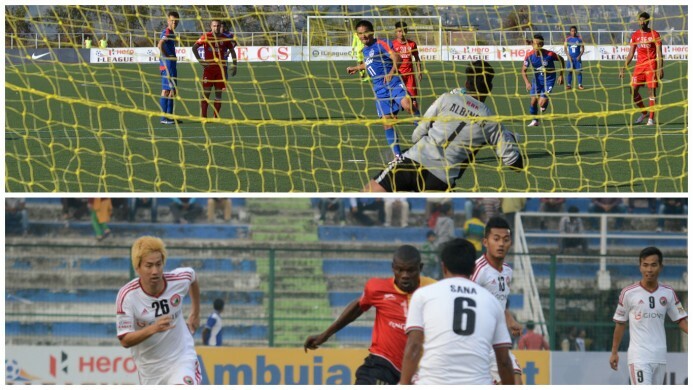 Wednesday saw four games being played, the first of them being Bengaluru vs Aizawl. The game saw some great performances from both sides attackingly, as Brandon Vanlalremdika’s first half finish was cancelled out by Sunil Chhetri’s super strike to share the spoils. Albino Gomes made a few spectacular saves, including a penalty from Chhetri, and walked his way into the XI. Mahmoud Amnah played a brilliant game, attacking and defending with aplomb against the defending champions. The Syrian midfielder will be the key player to control proceedings in the centre of the pitch. East Bengal versus Shillong Lajong and Minerva Punjab versus DSK Shivajians were played parallel, and only the first one saw a couple of goals. Samuel Lalmuanpuia scored from a well-placed header from Bipin Singh’s well-directed cross. 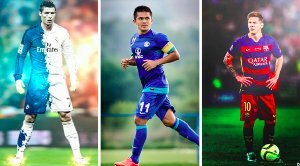 Sunil Chhetri’s historic goal will surely be one of the goals of the season and the captain makes our team as one of the best on the pitch. Mohun Bagan locked horns with Mumbai FC in the last game of the round at the Cooperage Ground. 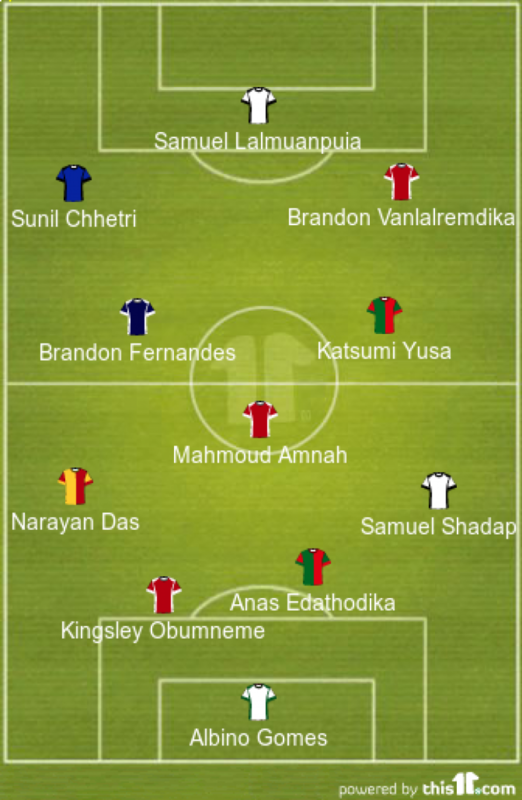 Mohun Bagan was the better team for most of the game as Yusa Katsumi and Daryl Duffey played their attacking roles well. The league table has remained the same, as East Bengal sit at the top with Mohun Bagan following. 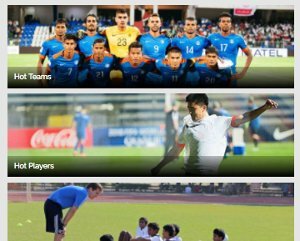 Aizawl FC, Shillong Lajong and Bengaluru FC make up the top five to be followed by DSK Shivajians, Chennai City FC, Mumbai FC, Minerva Punjab and Churchill Brothers in the given order.